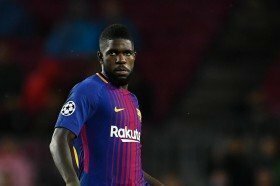 Arsenal manager Unai Emery has dropped the strongest hint yet that he would like to sign a new defender this summer, suggesting that the Spanish coach could make a move for Samuel Umtiti. The Barcelona centre-back has struggled this season with injury and is hoping for more game time. According to reports, Umtiti is ready to move to the Premier League with a number of clubs watching the player's situation. But it is Arsenal who are rumoured to be in pole position to sign the World Cup winning centre-back. “He’s a very good player. France has a lot of very good footballers who are playing abroad. The French league is a very attractive market for a lot of teams. It is understood that Arsenal are ready to pay as much as 50 million euros to sign a world class defender this summer.